Free indoor family fun in Honoka'a. Costumes welcome! Wear a crazy hat for a chance to win! 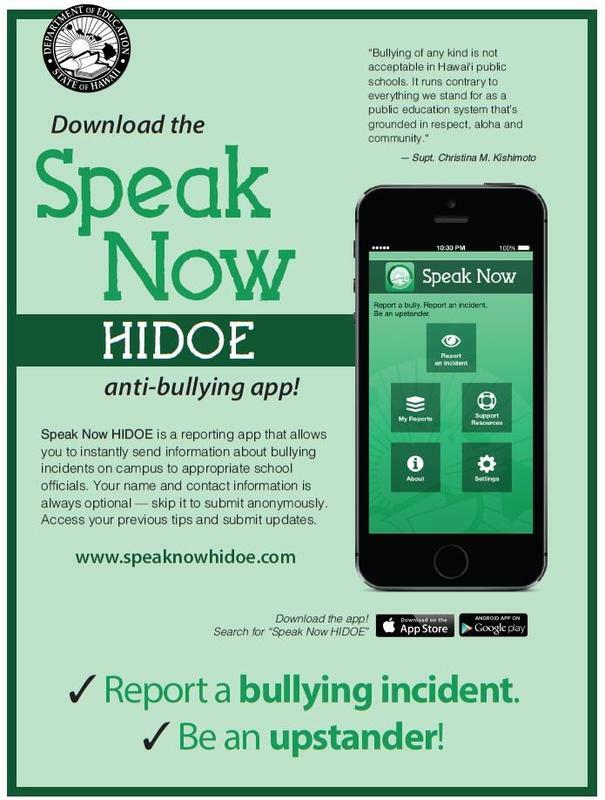 Turn in signed permission forms to Mr. Derrick in the Library! Complex Area Superintedent Art Souza addresses the "Momo Challenge" that is played over a social media platform and directs children and teens to complete challenges that can include self-harm and even suicide. This month the monthly ohana newsletter will not be mailed out, but will only be available online. Click here to read the complete newsletter with our school's important upcoming events and the student voice of the spring semester's writing workshop classes! Please do not make a u-turn in front of Kohala Middle, please use the bus turn around at the Pololu side of the school. 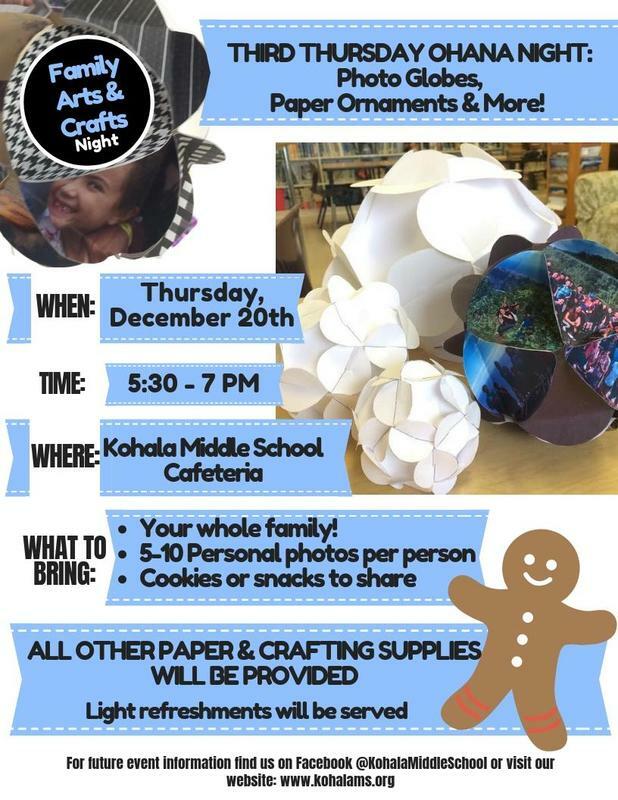 Kohala Middle School's FREE Winter Break Program will happen on Thursdays and Fridays December 27 & 28 and January 3 &4 from 8AM-1PM. Please fill out the attached registration form and return to the office as soon as possible. The office will be open during break and closed on Christmas and New Year's Day. Call 889-7119 for more information! Happy Holidays! This week the Ohana Newsletter will be mailed out. 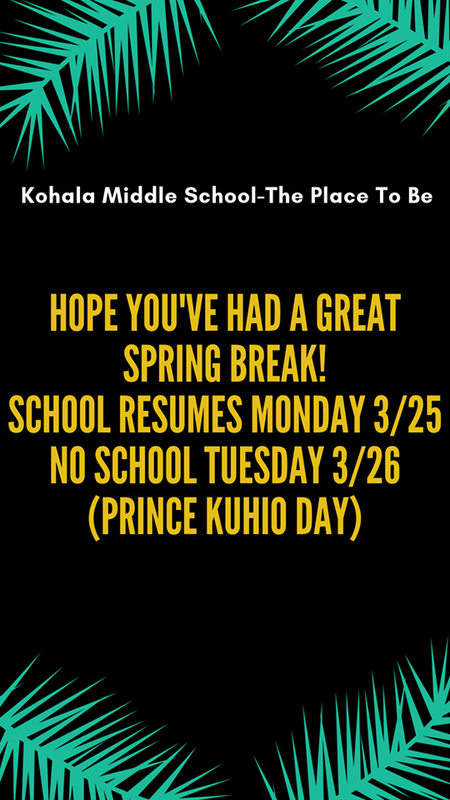 Check your PO Boxes for the complete copy including Kohala Middle School's latest news, announcements and student stories!